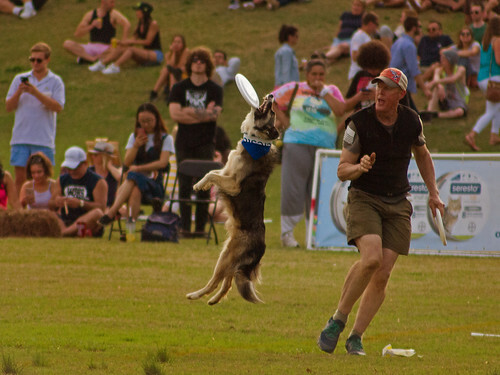 ▶ "The 2019 Disc Dog Southern Nationals Qualifier tournament began at the Atlanta Dogwood Festival more than 25 years ago with only 10 competitors as a one-day event. This annual competition has grown to a two-day event and has become one of the most prestigious canine sporting events in the South. Today, it is a premier USDDN [US Disc Dog Nationals] World Finals Qualifier."